According to an article published on the NYTimes the stories coming out of Turkey and Russia are not meshing very well (shocking). 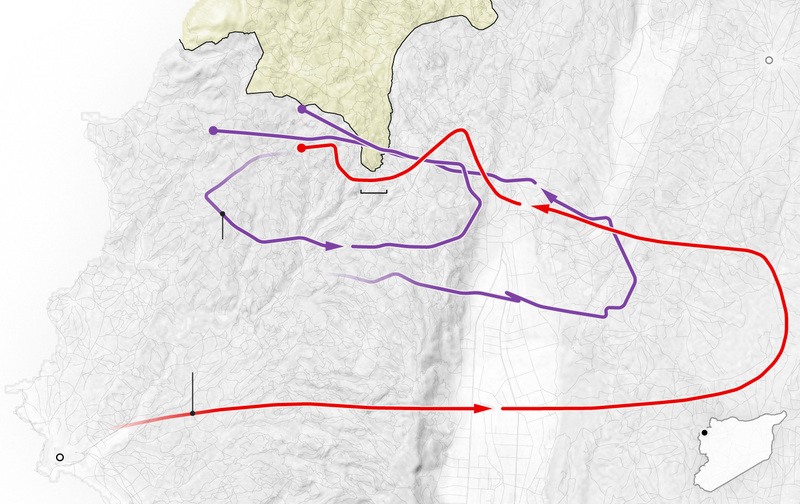 The image below outlines the flight path of the shot down aircraft from both Russia (red) and from Turkey (purple). According to the map the section of turkey that was violated is ~2mi across. Keep that figure in the back of your head — 2 Miles. 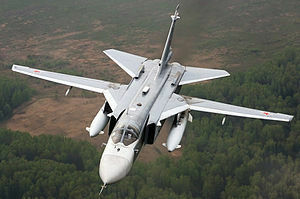 According to AxleGeeks.com the SU-24 has a Cruise Speed of 710 knots — That’s 817.053 MPH. Not to say that it is incapable of slower flight. According to the same website the average military jet is capable of an average cruise speed of 560 knots — Or 644.436 MPH. Lets assume the jet was traveling at the slower, average speed of 560 Knots. 2 M / 0.179MPS = 11.17 seconds. Here is another image of the encounter. 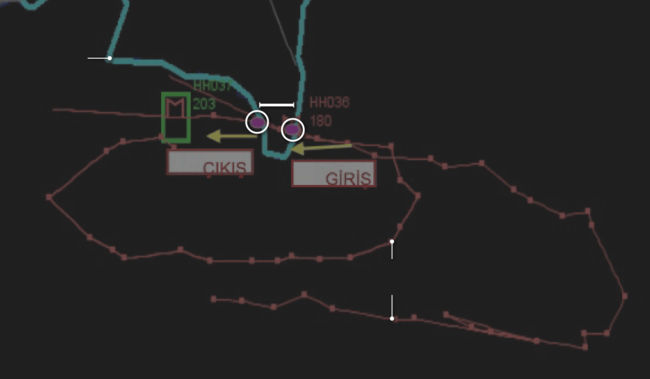 The circle on the right shows where the SU-24 allegedly entered Turkish airspace, and the circle on the left shows where it exited. The explanation on the graphic doesn’t explicitly say so, but I believe the green block is where the engagement occurred. According to Turkish officials the Russian aircraft was warned of its breach of Turkish airspace 10 times in a period of 5 minutes. I’d assume that the Turkish military would start its warnings well before the airspace is actually violated, but over a period of 5 minutes the aircraft would have traveled 53.7 miles. Either way the point here is that we don’t have the full story. I’m not saying either side is lying, just that we simply don’t have the fully story about what happened. The rhetoric coming from both sides is astoundingly similar. Turkey and its NATO allies are claiming that the Russian Bomber was not conducting operations against ISIS/ISIL/Islamic State at the time of the incident. Charging Russia with not really being the the fight against the terrorist organization. Perhaps ironically Russia is saying the same thing about Turkey, and is even going one step further in claiming that Turkey is in fact aiding the terrorists by selling their oil. In fact the claim goes further to state that several high level government officials have economic interest in the success of the terrorist organization.